Qdoba Mexican Eats is a Mexican fast casual restaurant chain in the U.S. and Canada. It is currently owned by Jack in the Box and is seen as a healthier alternative to fast food restaurants. Qdoba delivery services are available in most big cities from Northern America. The chain can be traced back to 1995 when a Zuma Fresh Mexican Grill opened up in Denver by a Culinary Institute of America graduate and an investment banker. Ever since the beginning, the restaurant that was to become Qdoba enjoyed an unexpected success: Dozens of customers were waiting in line around dinner time, even during workdays. After two name changes due to lawsuits from other Mexican restaurants with similar names, the chain was finally renamed Qdoba in 1999. Extras: Sauces, sides, chips, or beverages. Steak, shredded beef, or pork items cost $8.40. This change is generally seen as beneficial for customers since costs are similar or even lower than before when talking about meals with sides or extras. However, customers who used to eat lighter meals and avoided extras like guacamole, sauces, or sides found themselves disadvantaged by this practice. Paying for items they did not want or eating more and surpassing their planned calorie intake are the main reasons why light eaters do not support the “all inclusive” pricing at Qdoba. Hot Taco Bar: Marinated grilled chicken and/or steak, tortillas, taco shells, salsas, cheese, sour cream, guacamole, salads, tortilla chips, cookies and/or brownies, and drinks (iced tea or lemonade). Mexican Burrito Bar: Rice, beans, marinated grilled chicken and/or steak, salsas, cheese, sour cream, guacamole, tortilla chips, cookies and/or brownies, and beverages (iced tea or lemonade). Nacho Bar: Tortilla chips, marinated grilled chicken and/or seasoned ground beef, beans, the famous 3-cheese Queso, salsas, sour cream, guacamole, cookies and/or brownies, and drinks (iced tea or lemonade). Boxed Lunch: Customized or standard burritos, rice, black beans, cheese, salsas, grilled fajita vegetables, guacamole, tortilla chips, cookies and/or brownies, and beverages (iced tea or lemonade). Breakfast Burritos: Tortillas, scrambled eggs, seasoned potatoes 3-cheese Queso, salsas, and beverages (iced tea or lemonade). 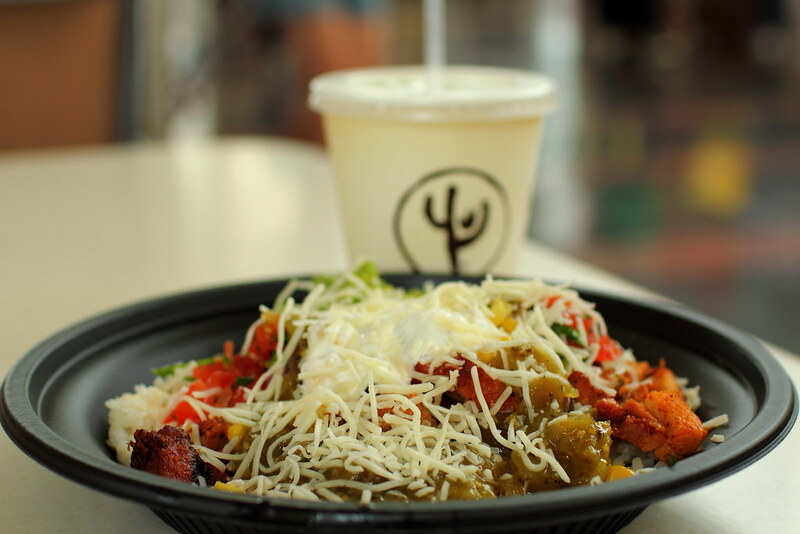 Naked Burrito Bar: Rice, beans, marinated grilled chicken or steak, salsas, cheese, sour cream, guacamole, tortilla chips, cookies and/or brownies, and beverages (iced tea or lemonade). The company is headquartered in Lakewood, Colorado, but has over 600 restaurants in Northern America. Some Qdoba restaurants can be found on college campuses all over the United States of America and Canada. Most Qdoba restaurants start their business hours at 11:00 AM, but some can open up at 10:00 AM or 10:30 AM. They usually close down between 8:00 PM and 12:00 PM during workdays. Some locations can be open 24/7 or non-stop during weekends. Fees for a Qdoba delivery vary in terms of location and distance from the Qdoba restaurant to the delivery site. Customers who order often from Qdoba can benefit from discounts, free meals or entrees, gift cards, or other special offers. For catering services, the delivery and set up fee is around $25 per service – but additional fees may apply for long distances. 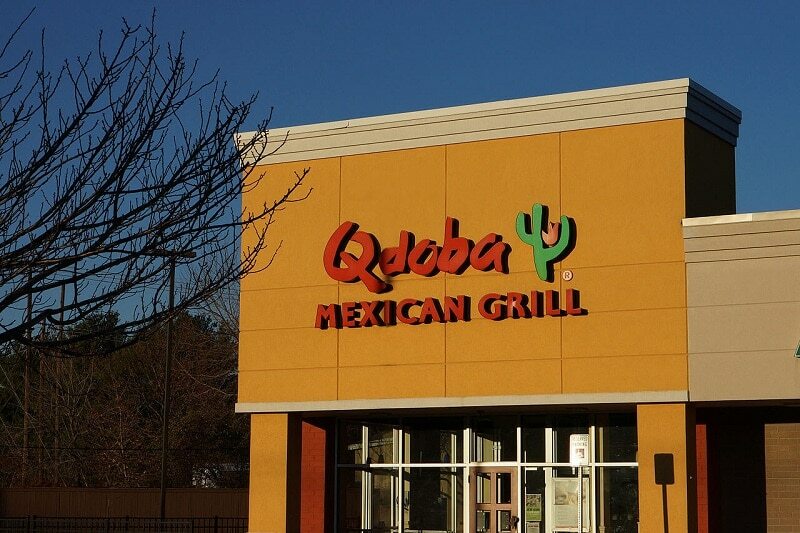 To place a regular delivery order with Qdoba, customers need to enter the official website (www.qdoba.com) and check the Qdoba locations nearby to see which one offers delivery services. It’s important to note that not every restaurant offers delivery and catering services; Some might have “Order for Pickup”. If this is the case, customers need to select a date and time when they can pick up their order from their Qdoba restaurant of choice. To order catering from Qdoba, customers need to go to the official Qdoba catering website (www.cateringqdoba.com), select the day and time they want the products delivered, and place the order online. Customers can also call 1-844-Q-CATERS or use the abovementioned Qdoba website to place a catering order. Customers can pay for a Qdoba delivery online or via telephone with a credit or debit card like Visa, MasterCard, Discover, or American Express. Cash payments are also available upon delivery. Although the company makes gift or loyalty cards available – also known as Q-Cash cards for this restaurant chain – they cannot yet be used to pay for delivery services. Q-Cash cards can only be used for in-store payments in the U.S.
Qdoba delivery and catering services are a lighter and healthier alternative to fast food. The use of fresh ingredients and vegetable oils combined with fast preparation and delivery makes Qdoba a viable choice for customers who love fast food but also watch their calorie intake. Hey Buddy!, I found this information for you: "Qdoba Delivery 101: Areas, Hours, Fees". Here is the website link: https://all2door.com/qdoba-delivery/. Thank you.